Sugar Creek Farms always has cattle for sale, and quality is our top priority. We practice the extensive use of AI and embryo transfer to continually increase the genetic value of our herd and the cattle we sell. In addition, we utilize genetically and phenotypically superior natural service sires to ensure high quality calves from every mating. We are proud to offer some of our best herd prospects to our customers. 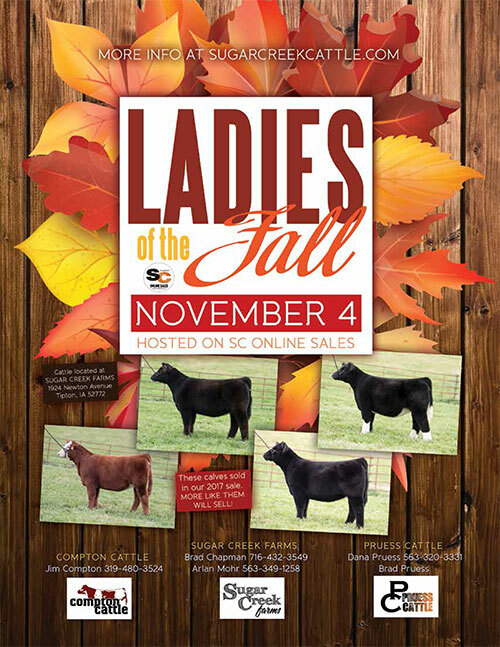 Please let us know if you have any questions, or would like to come out to view our cattle.